Yes it would be nice to have fiber all the way. The past few days rains have put a crackling sound to the dial tone. We're at the 4th floor. It's a DMCI condo complex. It's a low rise condo (5floor building but over 20 units per floor). I think it might be possible to convince the installer to string the extra length of fiber to the unit itself as we are just above the wiring closet. But that would also mean switching modems from VDSL to a fibre modem. I haven't met the installer as I am away during the day. My wife and son had gone to the PLDT office at Felix Avenue in Cainta. My wife noted the CSR people looked like the same ones she saw over 10 years ago when she applied for DSL, only older. The queue was quite long and it seemed to her almost everyone was applying for fibre. It seems that the installers were contractual. ^thanks dude. hmm it seems the recourse would be to go to a PLDT office instead of relying on sales agents. nagsara na daw yung sa boni though so have to find another branch close to us (manda/pasig area). Installers are independent contractors, not PLDT employees. Ang ginawa ko nag-apply lang via PLDT website and they installed it within a week, although it took another week for them to activate it. Strangely though, after 2 weeks another installer came calling. I suspect that the second was from the agent I applied with last year. May loss of speed din when going from fiber to vdsl. See my sig. I subscribed on 100mbps fiber in Japan but only until the junction box outside the apartment building. Inside its normal copper line. most building administrators are open to this since it would mean no "electrical" appliance would be installed inside the electrical rooms of the building. i bit the bullet and applied for Globe Fibr unli 20mbps, because PLDT never arrived for site inspection when we applied for upgrade due to their people problems. i hope it will be good. if you need the upload bandwidth, you'll have a problem, otherwise, it's actually good. Yesterday I got 20Mbps down and 47Mbps up. Today I got 20 up and 23 down. On Plan 20Mbps. We have finally been connected to "Fibr" only today. One week after applying, a technician visited our condo unit and left us the VDSL modem. He said our slot was not yet activated. An inspector came the next day and was surprised we were still on ADSL. Speaking to him over the phone from my office, he seemed surprised we were even on ADSL at all. He was expecting a new installation. A week after that, we lost internet. We are always directed to the "Subscriber payment reminder page". The page instructed to call 171. After 5 days of no internet and daily calls to 171, my wife went to the PLDT office yesterday to complain. The CSR assured my wife that action will be taken ASAP. She was also assured that Fibr in the form of VDSL is indeed available at our condo contrary to what the condo management office had said that it was not. It turns out the VDSL distribution box is not in the condo building itself but behind the guard house at the condo complex entrance over 100 meters away. By noon today, they replaced the modem and running a quick speed test showed the speed to be 20mbps download and 15mbps upload. 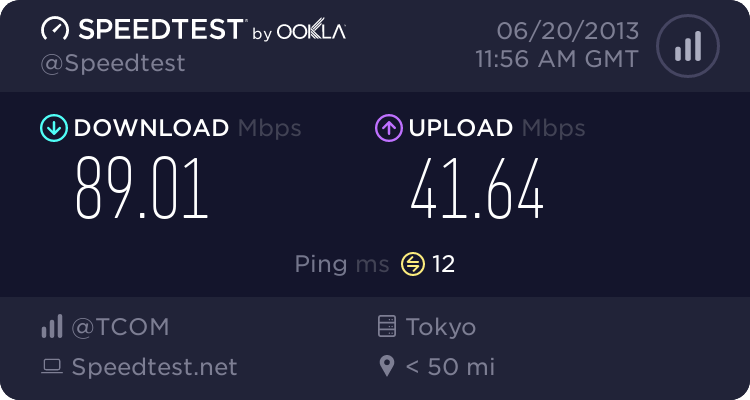 Ping at 21ms isn't as good as the 1-2ms of a fully Fiber connection bit hey after 5 days without internet, I will take it. I asked the installer if it is possible to switch the modem to bridge mode. They said they just do installation but the modem can be switched to bridge mode. I did check the modem status and the IP address it obtained is the same one when I check it from an external web site. So it is not shared. ^buti kayo pinuntahan ng pldt. kami wala talaga despite numerous followups and complaints for our requested upgrade to fiber. so we just switched to globe. 30mbps down 10mbps up 3-5ms ping, good enough for our needs. CAT5 connection so our PLDT landline/dsl is on standby for backup in case things go bad for globe. Gonna get our pldt phone with dsl line disconnected soon. Fibr isn't available in the area where we're moving so I opted for converge fiberx. Keeping my fingers crossed that it's better than pldt. By the way, pldt no longer requires the phone unit and modem to be surrendered before they cut the line. Disconnection is also immediate upon settling the account. Depends on your plan. Yung 5Mbps hihingin yung modem kasi libre from PLDT yun, pero yung phone unit iyo na yun. Really? I'll bring the units just in case. The customer rep I talked to said there was no need. I just don't like that it's not possible to schedule the disconnection. Disconnection happens right at the moment you file and settle the final bill. What I did was wait for the new line to be activated then, when it was all up and running went to the nearest PLDT office and asked that it be disconnected, surrendering the modem and the filter and paying the balance (its pro-rated so you only pay the amount up to the date of disconnection). After that you will get a call to confirm the disconnection. I managed to switch PLDT's VDSL modem router to bridge mode last night. Getting info to do this was not easy. Even with the info, you have to go through several steps to just access the super user pages. The ping times dropped a few msec but it is still double digits to the pldt server. Finally had our old line disconnected. Not sure what the plan name was but it was landline with 5Mbps (started from 784kbps to 1Mbps to 3Mbps to 5Mbps with each upgrade of pldt). They didn't take the landline unit nor the just-a-few-months old modem even though I already had both with me.